Discussion in 'General discussions' started by Mohammad Kalim, Jul 22, 2017. @Mohammad Kalim - Please go to Backend > Misc > Campaign Bounce Logs, and see there why exactly you get the bounces. My hunch is that you're sending more than your hosting allows. and when i tried to send them individually then it's work this is really frustrated condition ! Please try to solve it... the email message is only images and text nothing else. There's nothing i could do to fix this since it's beyond the my power, as you can see in the above message, when you send in bulk, your hosting thinks you're sending spam, so talk to them, as the error message says. 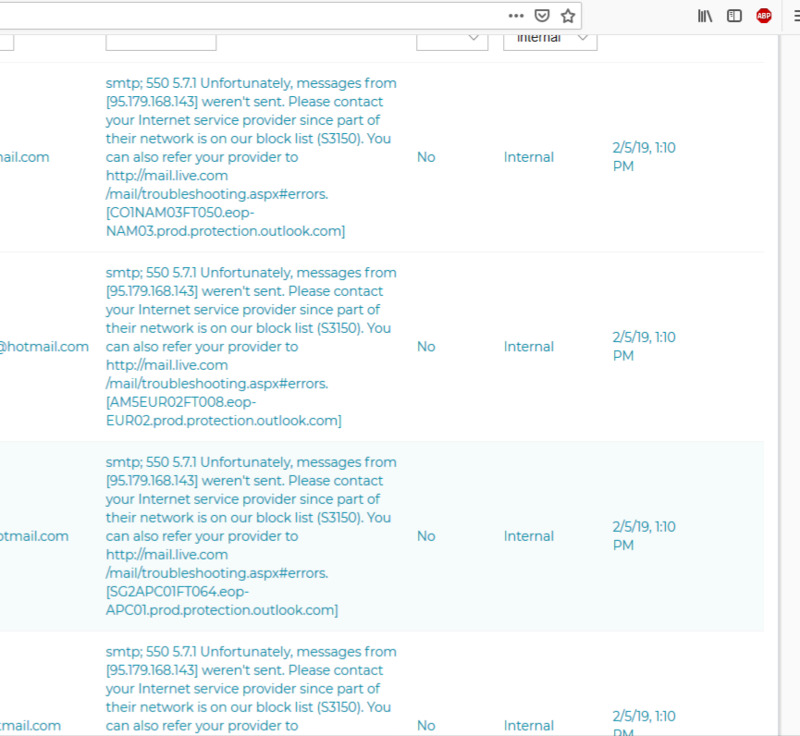 yes that will blacklist your IP in spamhaus and baracoda be careful for sending bulk email list... if you have valid subscriber or clean list then you can go ahead, else it's best practice to use void clean list for email marketing..
SpamCop, SPAMHAUS or Barracud. but i still get over 80% internal bounces . the log shows me this message. part of your provider's IP block is blacklisted, and so your emails get rejected by outlook (and others). Provided the problem is not caused by you, call your host and demand they replace your IPs for clean ones with untarnished rep, as otherwise you take your business elsewhere.